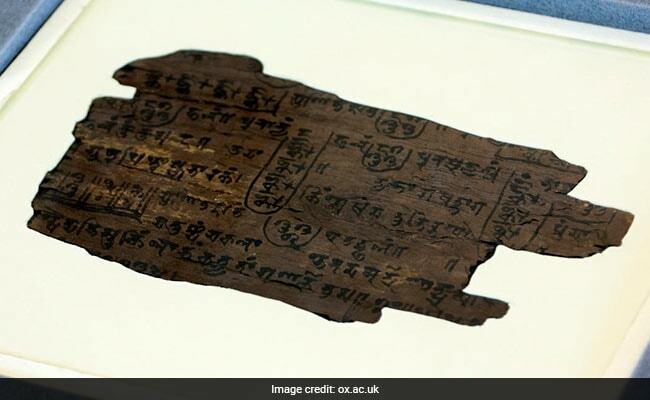 Scientists performed a carbon-dating study on the Bakhshali Manuscript, a mathematical document written on birch bark, that has been at Oxford since 1902. The zero evolved from a dot used in ancient India that can be seen throughout the Bakhshali manuscript. New Delhi: The zero, crown jewel of India's rich heritage in mathematics, just grew older by at least 500 years. 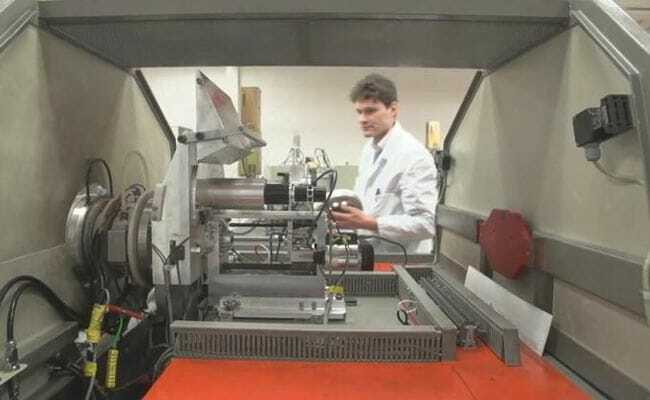 A new carbon dating study commissioned on an ancient birch bark manuscript has found that the indispensable digit dates to as early as the 3rd or 4th century - approximately five centuries older than scholars previously believed. The Bakhshali Manuscript Case has been housed in the University of Oxford. The findings mean that the manuscript predates a 9th century inscription of zero on the wall of a temple in Gwalior, Madhya Pradesh, which was previously considered to be the oldest recorded example of a zero used as a placeholder in India, a report by Oxford's Bodleian Libraries said. The findings are highly significant for the study of the early history of mathematics, it added. The report says the zero symbol that we use today evolved from a dot that was used in ancient India and can be seen throughout the Bakhshali manuscript. The dot was originally used as a 'placeholder', meaning it was used to indicate orders of magnitude in a number system - for example, denoting 10s, 100s and 1000s. The new finding was reached after a carbon test on the Bakhshali Manuscript. While the use of zero as a placeholder was seen in several different ancient cultures, such as among the ancient Mayans and Babylonians, the symbol in the Bakhshali manuscript is particularly significant for two reasons. Firstly, it is this dot that evolved to have a hollow centre and became the symbol that we use as zero today. Secondly, it was only in India that this zero developed into a number in its own right, hence creating the concept and the number zero that we understand today - this happened in 628 AD, just a few centuries after the Bakhshali manuscript was produced, when the Indian astronomer and mathematician Brahmagupta wrote a text called Brahmasphutasiddhanta, which is the first document to discuss zero as a number," the report said. "Today we take it for granted that the concept of zero is used across the globe and is a key building block of the digital world. But the creation of zero as a number in its own right, which evolved from the placeholder dot symbol found in the Bakhshali manuscript, was one of the greatest breakthroughs in the history of mathematics," said Marcus du Sautoy, Professor of Mathematics at the University of Oxford.